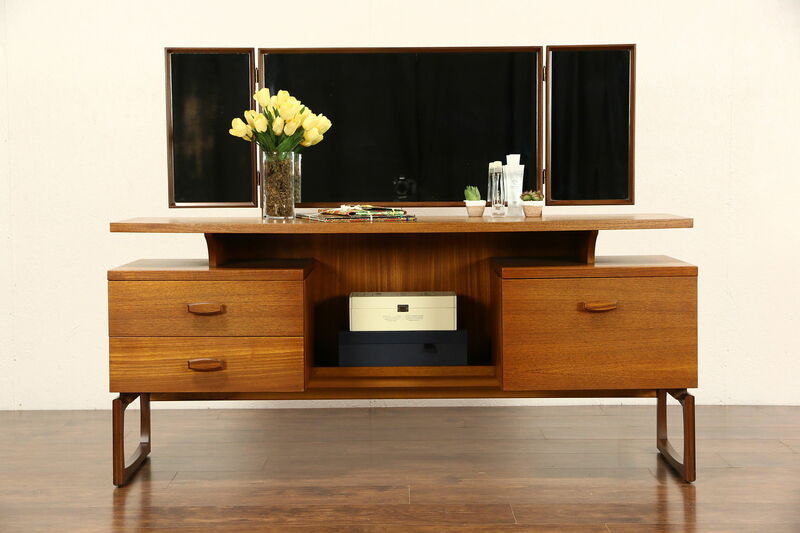 A Midcentury or Danish Modern vanity or dressing table and desk from the 1960's is genuine teak, made in Denmark. The maker's signature is lost. The restored finish is in excellent condition. The center mirror adjusts, side mirrors swivel. There is a hint of smoke to show their age, see photos. Carved pulls are original, the jewelry drawer has a velvet bottom on this European vintage furniture. Size is 60" wide, 19" deep, 46" tall and the top surface is 27" high.